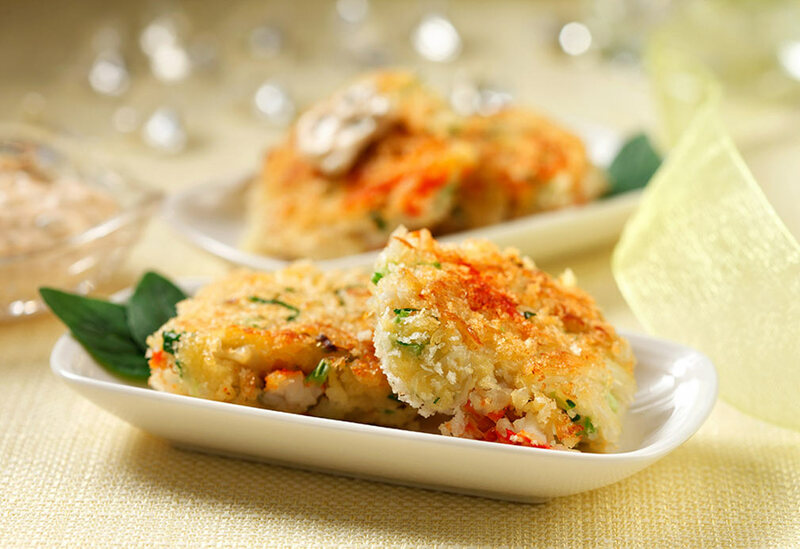 Unlike most pre-prepared crab cakes, which are deep-fried these let the flavor and succulence of the crab lead the way. 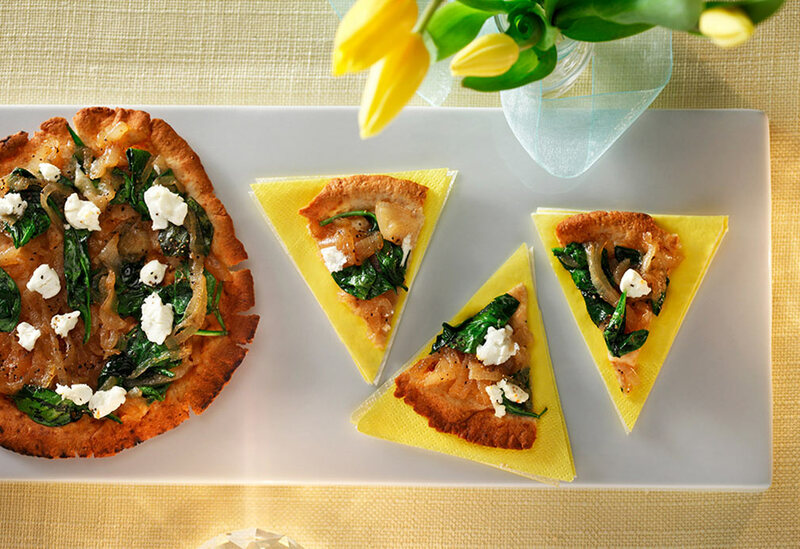 The result is not only more delicious, but better for you, too. The crab is lightly seasoned with herbs and scallions, then held together with a minimal amount of canola oil mayonnaise, egg and breadcrumbs. The cakes brown up beautifully with just a small amount of heart-healthy canola oil. 1. To make sauce: In medium bowl, mix mayonnaise, yogurt, pickle, capers and smoked paprika until well combined. Sauce will keep for up to three days in airtight container in refrigerator. 2. To make crab cakes: In medium bowl, whisk together egg, mayonnaise and lemon juice until combined. Add crab meat, 1/2 cup (125 mL) breadcrumbs, celery, scallions, parsley and pepper and stir gently to combine. Put remaining breadcrumbs in shallow dish. 3. Using your hands, shape about 2 Tbsp (30 mL) crab mixture into a patty about 2 inches (5 cm) in diameter. Coat in breadcrumbs, then place on baking sheet or clean work surface. Repeat to form remaining crab cakes for total of 16. 4. In large, nonstick skillet, heat 1 Tbsp (15 mL) canola oil over medium-high heat. Place eight crab cakes into skillet and cook, turning once, until crisp and browned, about 4 minutes per side. Transfer to serving plate or baking sheet, wipe any crumbs out of skillet and repeat with remaining oil and crab cakes. 5. Place about 1 tsp (5 mL) sauce on top of each crab cake and serve immediately, or cover cakes and chill for up to one day, then reheat in 350 °F (180 °C) oven for 10-15 minutes. 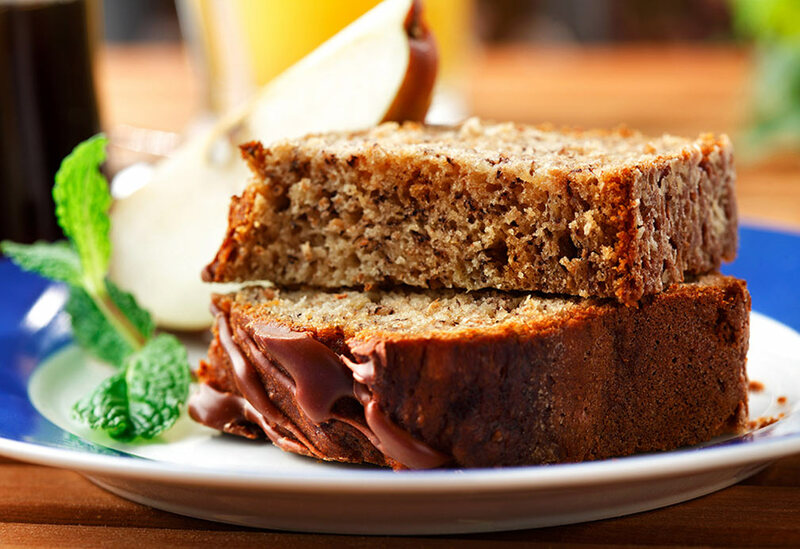 This easy banana bread seems too good to be true. It is incredibly moist, bursting with flavor and luxuriously drizzled with melted chocolate. 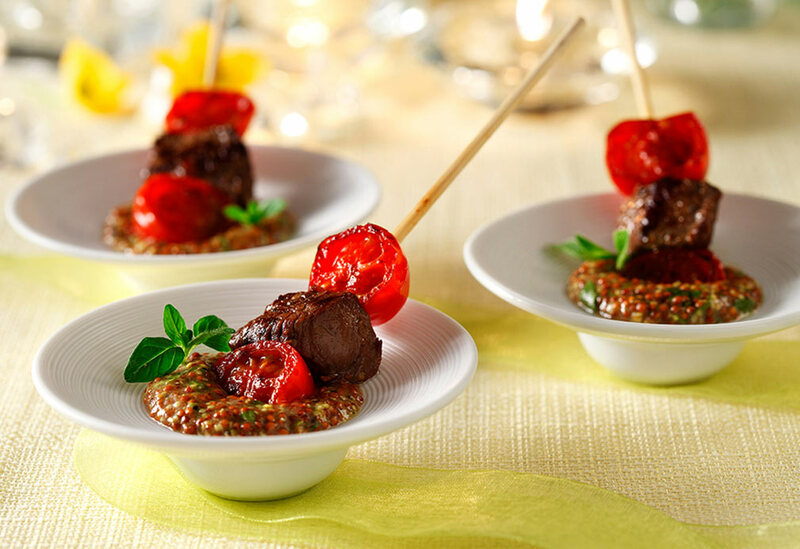 Each beef skewer is a luscious mouthful of perfectly grilled, tender steak and a plump grape tomato served with a tangy, herb-flecked mustard sauce for dipping.